We’re all constantly seeking balance—balance in work, balance in life, and often, balance in our body shape. Here are some easy ways to even out your look and feel your best when you head out for the day. Here’s how to dress a larger midsection. When it comes to shirts, wear it untucked (if the occasion allows). The straight line camouflages your midsection while lengthening and narrowing your torso. Avoid shirts that are too loose, which can actually make you look larger. 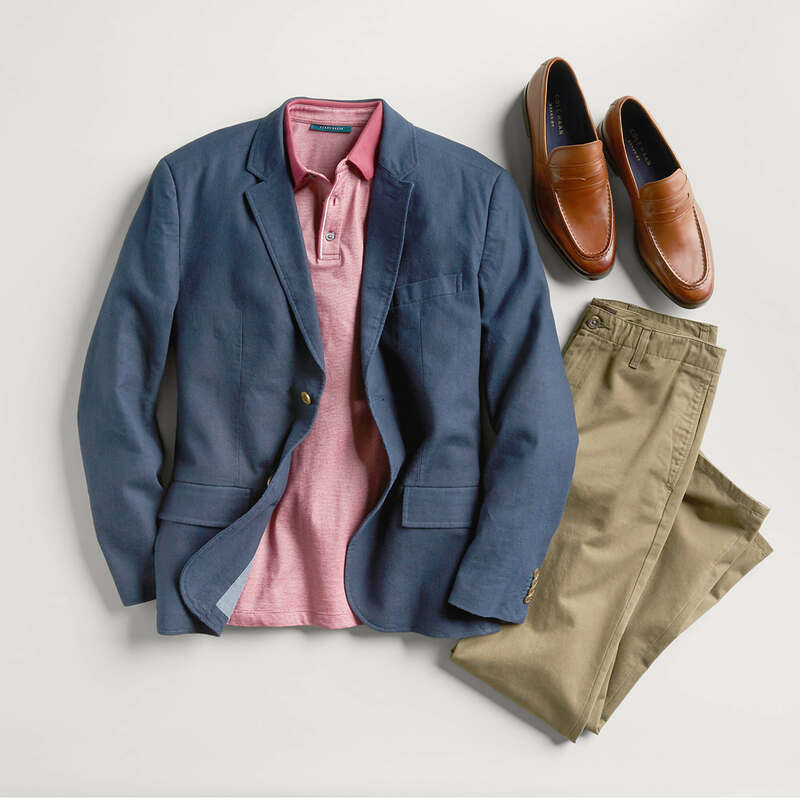 Instead, opt for a true regular fit or hybrid fit shirt that lightly skims your frame. A printed shirt adds dimension to your arms and visual movement of the print will distract from a larger midsection. Stick to small prints to keep the eye moving or vertical prints to elongate. 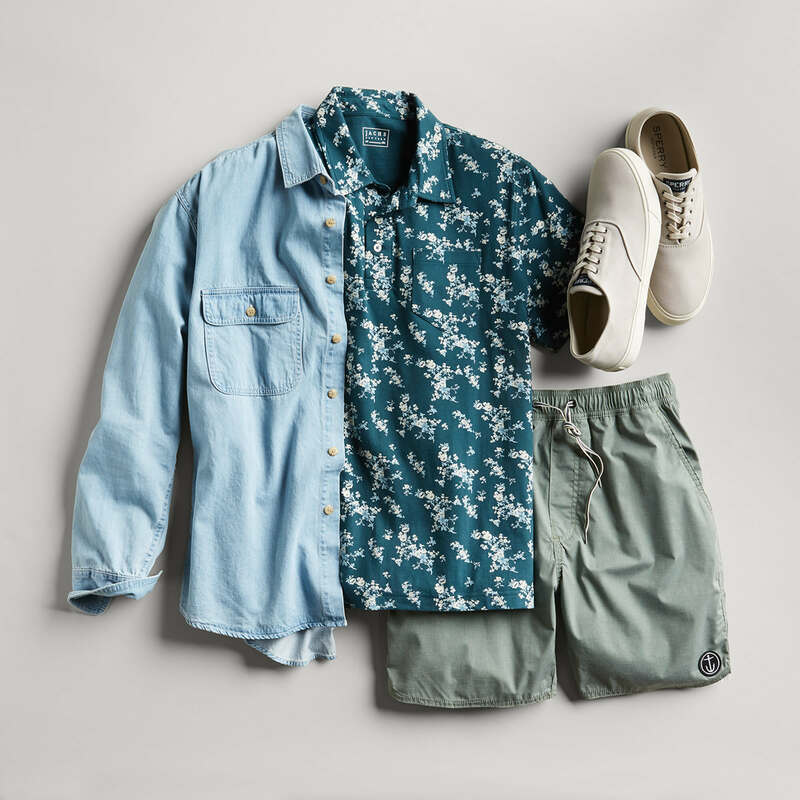 If solid shirts are more your speed, try muted hues and darker tones for a more contemporary feel. 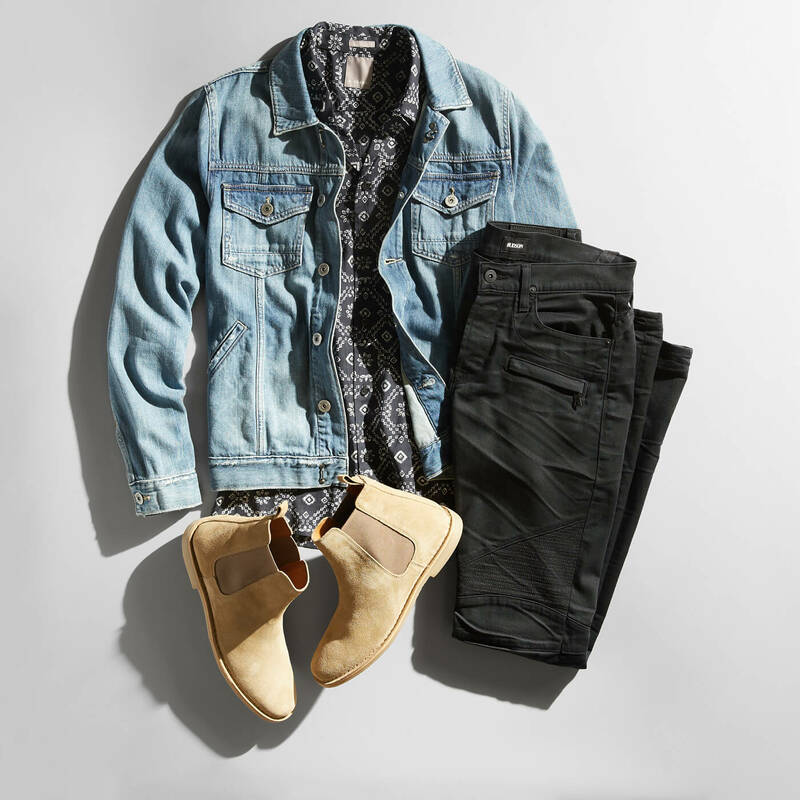 Experiment with cool denim washes and bold-hued pants to draw the eye down to your legs. The brighter color or unique wash also adds width to your legs, giving your overall appearance more balance. 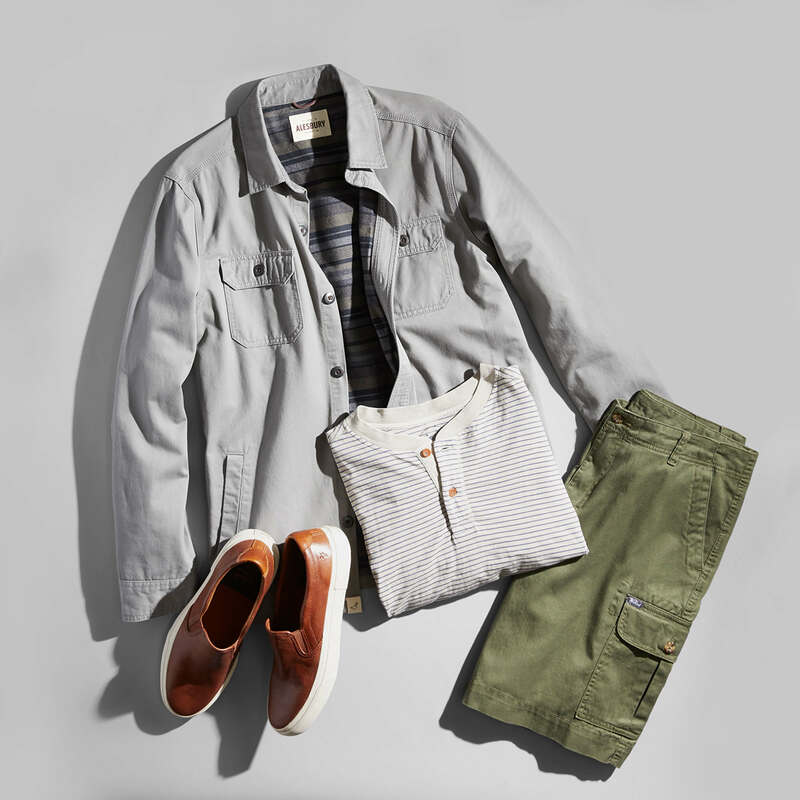 That’s not to say you can’t stick with your tried-and-true dark washes and neutral color pants—just make sure you have a proper fit with a straight or slim leg style that doesn’t cling to your legs, but isn’t overly baggy either. The structure of a jacket or blazer (or even an open button-down) can add depth to your look and lengthen the slimming vertical line of your silhouette. Want to see some styles for your shape? Schedule a Fix today!